These are all guns that Kirk and I have gotten in the past week, screencapped from our own Destiny accounts. We’re pretty proud of them. 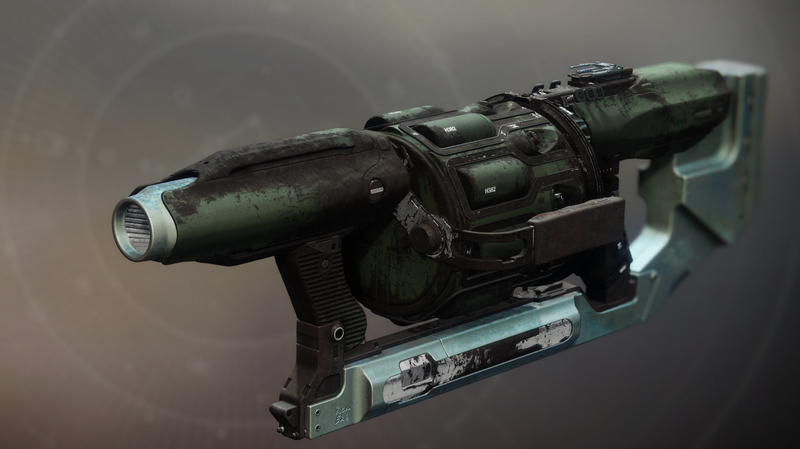 Edge Transit, a grenade launcher you can get in Destiny 2: Forsaken, is definitely a popular drop. This one has Rangefinder, which can be a great perk for long-distance sniping. Increased velocity is always good! This Edge Transit has a nice clip—seven rather than five—and Rampage is a pretty great perk for PvE. Take this one to a strike or heroic story mission and you can do some massive damage. Snapshot Sights is OK, but the real highlight of this Edge Transit is Genesis, a useful new perk that lets you kill aliens pretty damn fast in PvE. Keep at those bounties and you’ll be racking up Edge Transits in no time. The other day, while using my Edge Transit to finish off a strike, I saw a purple legendary engram on the ground. It’s still so exciting to see those. God, remember in year one when they used to sometimes drop blue gear? What a baffling decision. Anyway, it was an Edge Transit. One of the most exciting things about Destiny is getting to build up a collection of powerful, varied weapons, all of which have different pros and cons depending on the situation you’re facing. Every longtime Destiny player has fond memories of the time they used Ice Breaker to cheese a boss or abused Thorn to get through Trials of Osiris. I got this Edge Transit from a Crucible match. It seems pretty good.